Were you in a Car Wreck or a Motorcycle Accident? If so, we want to make things easy for you! We want to get you Immediate Legal Advice without having to talk to a paralegal or schedule a meeting with an attorney. Our process is simple. Just fill out the five mandatory questions below and hit the “submit” button. 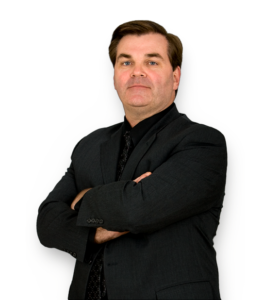 Within 24 hours, Attorney Jim Desmond will send you a two-paragraph summary of the legal issues concerning your car wreck and how he, Attorney Desmond, can assist you in achieving the best results. The analysis will include who will be responsible for your medical bills, property damage and your claim for pain and suffering. After that, the next step is up to you! We won’t sell your information to anyone and we won’t bother you with e-mails or phone calls. If you want to hire Attorney Desmond to help you with your car wreck, you will have his contact information listed so you can schedule a free consultation, e-mail him or call him on his cell phone. It is that simple and that quick! There is no obligation, hidden costs or fees. Just straight to the point legal advice that will help explain to you your rights and the RESULTS Attorney Desmond thinks can be achieved from your personal injury claim! Disclaimer: The use of the Internet or this form for communication with the firm or any individual member of the firm does not establish an attorney-client relationship. Confidential or time-sensitive information should not be sent through this form. Your inquiry will be forwarded directly to the e-mail of Attorney Jim Desmond, and will not forwarded to any agency or corporation. You understand that you are free to contact Attorney Desmond directly through his e-mailEmail Attorney Desmond or on his cell phone, 502-609-7657, in lieu of completing the aforementioned form. If you would like more detailed information about car wrecks, motorcycle accidents or Attorney Desmond, please visit our website at AttorneyDesmond.com. "We Want to Make Things Easy for You!"